Also known as spiral rope. This is one of my favourite stitches as it works up quickly. 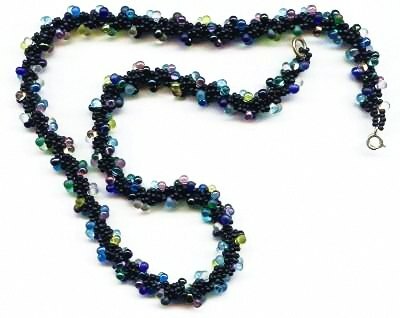 You can use an endless combination of beads and it always looks effective. This has a bracelet to match.